Pulling cutting to save energy. 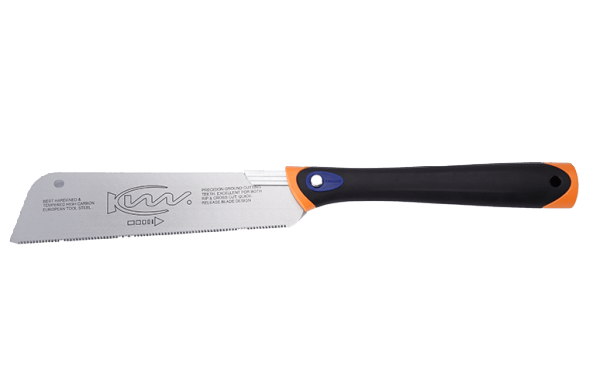 Thin blade provides accurate cutting. Different tooth form on each edge of blade to do both cross and rip cutting. Quick change blade to handle assembly. 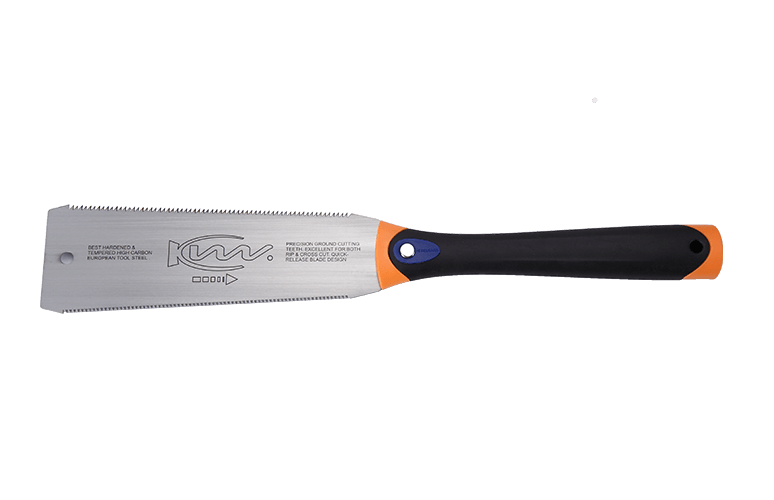 Flexible blade for flush and finish cuts.